Have you noticed that the tile floors in your office or restaurant have been feeling sticky and the grout and face of the tile appear dirty and darker? 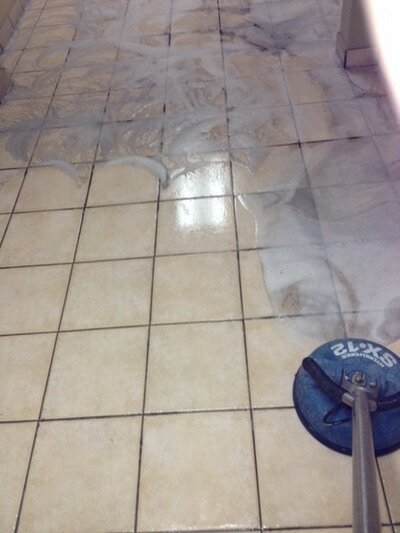 Typical cleaning of grout and tile create buildup of cleaning product, and dirt is actually being ground into the crevices of the tile and the pores of the grout. 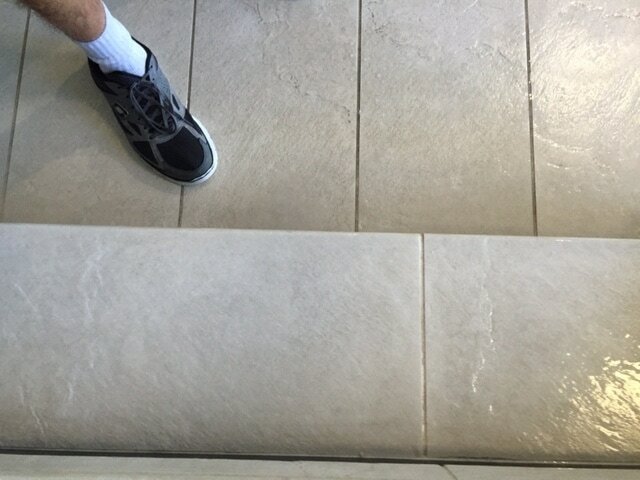 The only way to fix the visual appearance and odor is to completely extract the dirt and previous chemical that is on your floor, leaving your floor spotless! 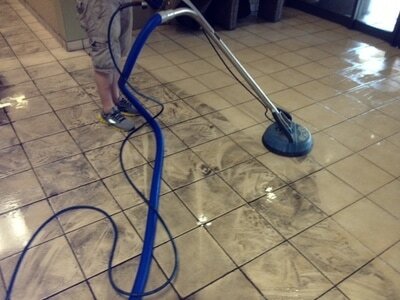 Protect your clean floor by sealing any pores in the grout and tile to make small spills easy to cleanup yourself! 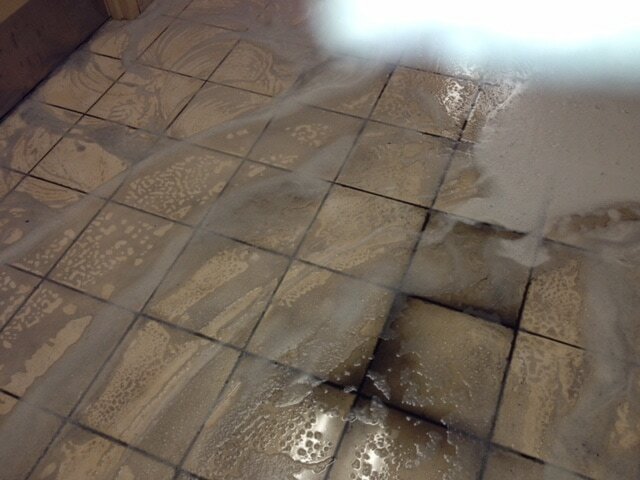 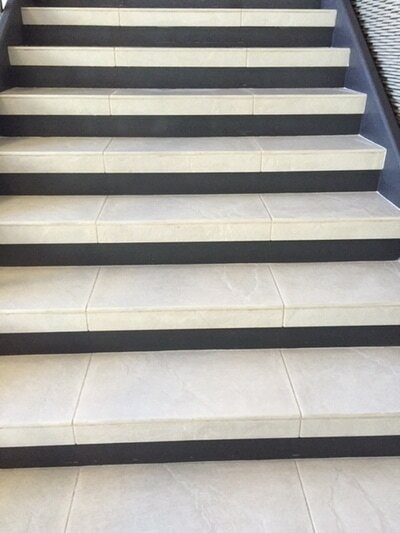 Please call us to discuss your grout and tile concerns, and address workplace safety in your office!